RALEIGH, NC - Serious videogame developer Virtual Heroes, based in Raleigh, North Carolina, partnered with the President’s Emergency Plan for AIDS Relief (PEPFAR) and Warner Bros. Interactive Entertainment (WBIE) to create a game to influence HIV risk perceptions, attitudes and behaviors among young people in Nairobi. 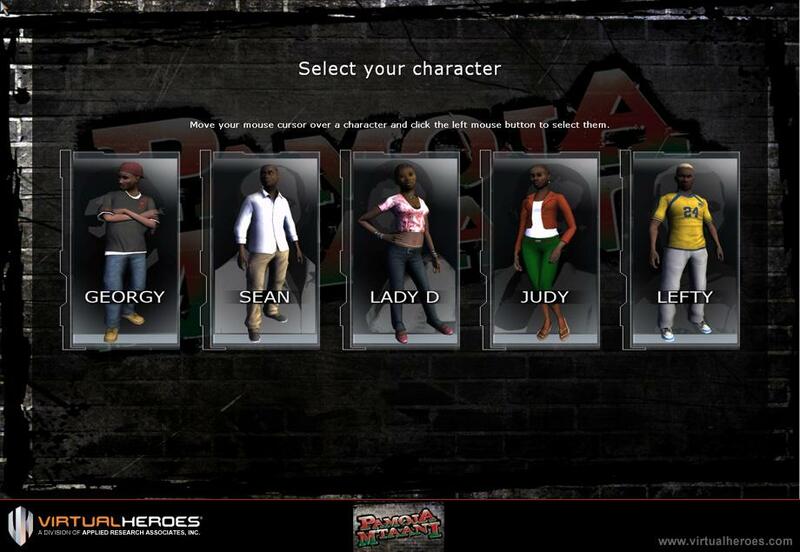 The game, Pamoja Mtaani (“Together in the Hood”), is an open-world game that allows up to five players in select youth centers throughout Nairobi to work together through a collection of twitch mini-games. Each player will take on the role of a unique character and play through a quest that has been developed to be both fun and educational. Top Kenyan hip-hop artists were tapped to provide relevant and inspirational original music for use exclusively in the game. 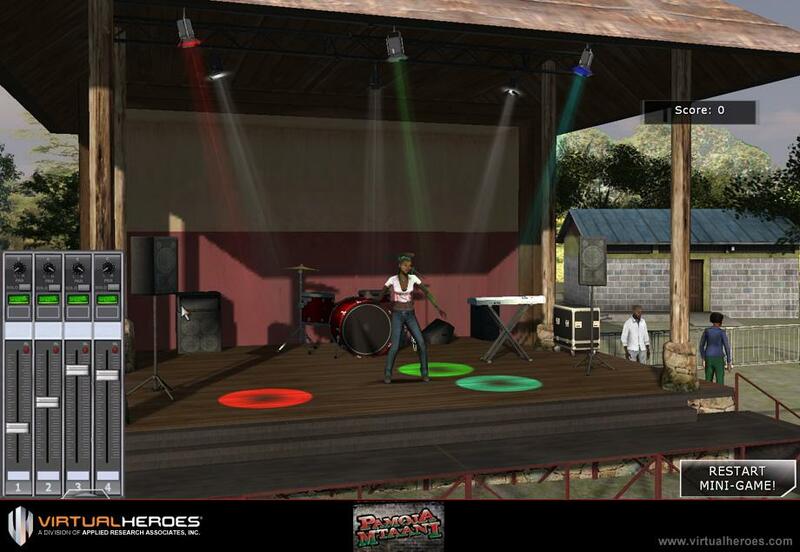 To make this five-player, LAN-based PC game experience a reality, Virtual Heroes opted to use the older Unreal Engine 2.5 rather than Unreal Engine 3 in an effort to reach the widest dissemination possible across the available hardware in Kenyan youth clinics, schools, and other facilities. A team of 25 people spent 10 months working on the game. Under normal circumstances, a game of this size generally takes two years to develop from scratch. Unreal Engine 2.5 forms the low-level foundation of Virtual Heroes’ platform and provides core functionalities, such as 3D rendering, audio, networking, and physics. To ensure these features connected with Kenyan youth, team members from Virtual Heroes and WBIE traveled to Kenya to get a better understanding of the culture that plays a larger role in the serious game. 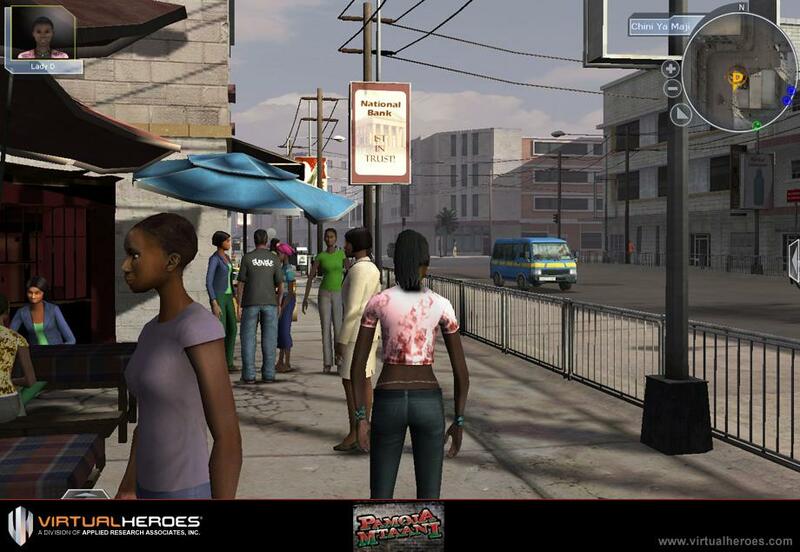 According to the game's designer at Virtual Heroes, Pamoja Mtaani consists of four large and unique environments based upon the different socio-economic regions of Nairobi, Kenya. The regions (Chini Ya Maji, Ulamini, Jijini, and an open-air Youth Festival) were designed using extensive in-country research with the ultimate goal of creating a truly immersive and culturally accurate living world. At the beginning of _Pamoja Mtanni_, each of the five playable characters practice a specific risky behavior that makes them more susceptible to contracting or spreading HIV. Throughout the course of gameplay, and reinforced through cinematics and in-game interactions, each character comes to realize the risks that they have been taking and the proper steps with which to avoid them. Several production staff spent a lot of time in Africa to get up close and personal with the people and the environment. Aiding the team in bringing this virtual Kenya to life was Unreal Engine 2.5 technology. During development of the game, the team heavily used Unreal Engine tools like UnrealEd for level creation and content management, the UCC script compiler for game script creation, and a few other small tools such as font converter and Maya plug-ins. Even though the game was initially deployed only in selected locations in Kenya, the original intent was always to increase HIV/AIDS awareness on the entire continent of Africa and to distribute the game in multiple countries. The differences in regional requirements for a videogame can be quite drastic, not only because of the different languages spoken in different areas and countries, but also ethnic and cultural differences. In addition to future expansion of the game across Kenya and Africa, Pamoja Mtaani is part of a multimedia push by Warner Bros. across multiple divisions. Each of the five characters from the game are featured in a series of computer-animated shorts created by Warner Bros. Motion Picture Imaging that will introduce them to the target audience of Kenyan Youth. In addition, Warner Bros. Advanced Digital Services has created a website that will provide information on the Partnership for an HIV-Free Generation Initiative. Warner Bros. Motion Picture Imaging also created film trailers to raise awareness and drive viewer traffic to the PEPFAR documentary, “Saving Lives, Creating Hope” detailing the program.